An Off The Wall Stand Out Suit including a coordinating Jacket, Trousers, and Tie – Ideal for any fancy dress occasion! 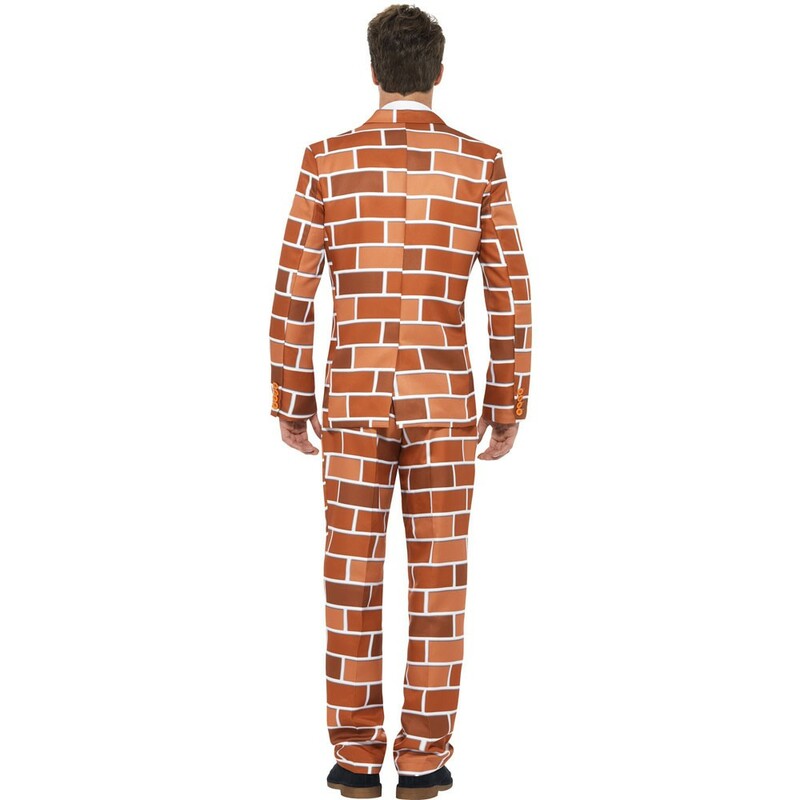 Be an attention seeker with this amazing Off The Wall Stand Out Suit. 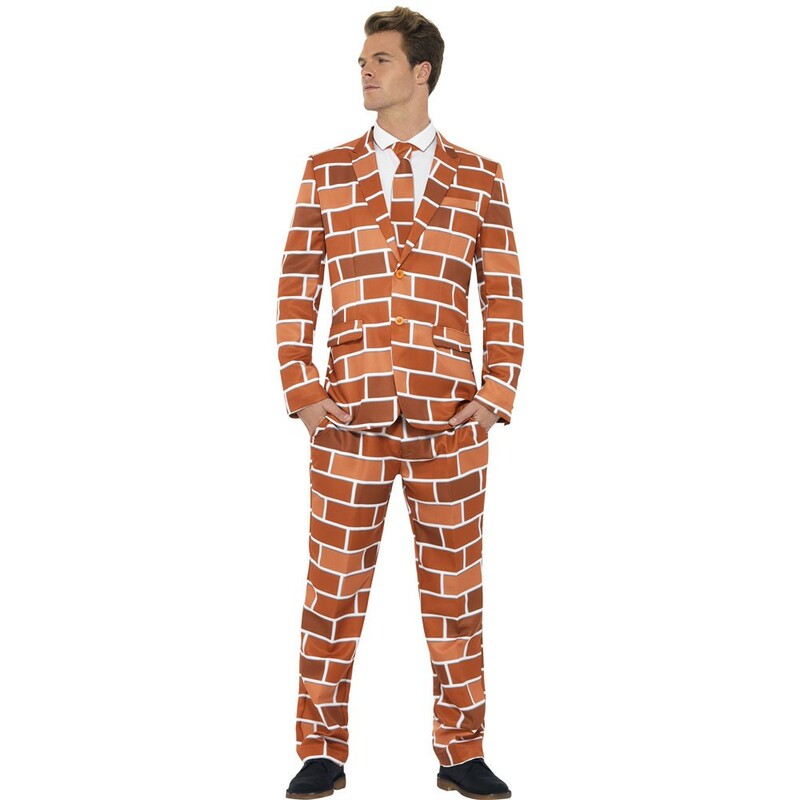 This costume comes complete with a matching Jacket, Trousers, and Tie. All three pieces of this Aloha! Stand Out Suit feature a red and white Brick print design and features a contrasting coloured lining. The Jacket fastens by two buttons, and also features a collar and pocket details, whilst the Trousers feature a simple button fastening. 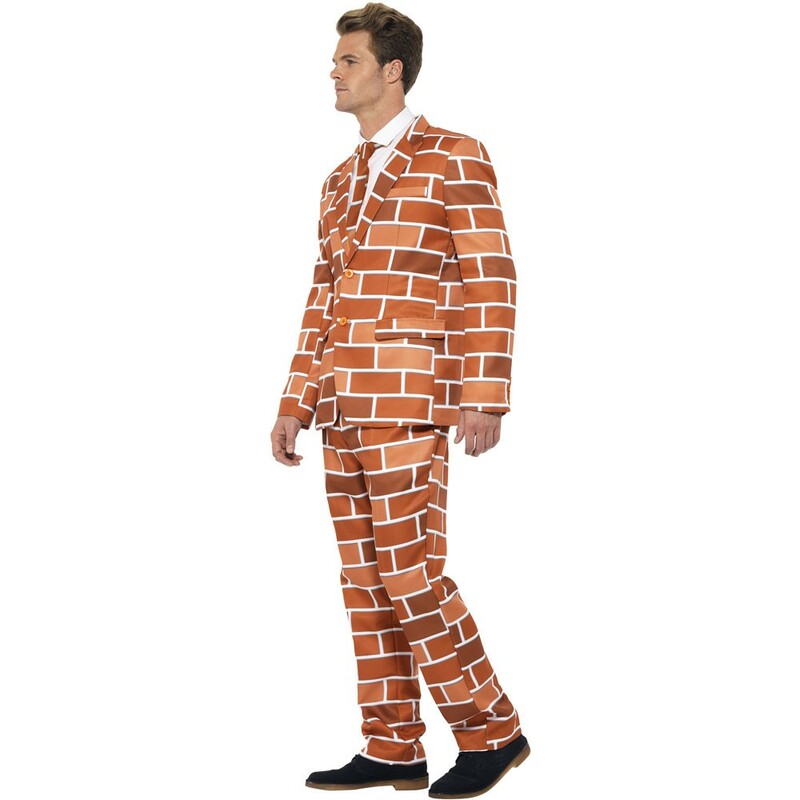 This Off The Wall Stand Out Suit comes in a deluxe gift box. This suit will be sure to make you stand out from the crowd with this fantastic Off The Wall Stand Out Suit. An Off The Wall Stand Out Suit including coordinating Jacket, Trousers, and Tie.